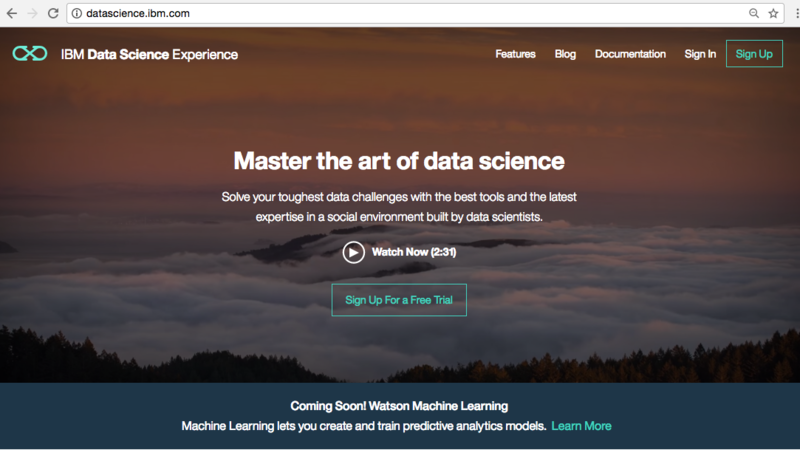 The IBM Data Science Experience (DSX) provides an interactive, collaborative, cloud-based environment where data scientists can use multiple tools to activate their insights. With DSX, Data scientists can use the best of open source tools such as R and Python, tap into IBMs unique features, grow their capabilities, and share their successes. This section shows how simple it is to use H2O R with IBM DSX. 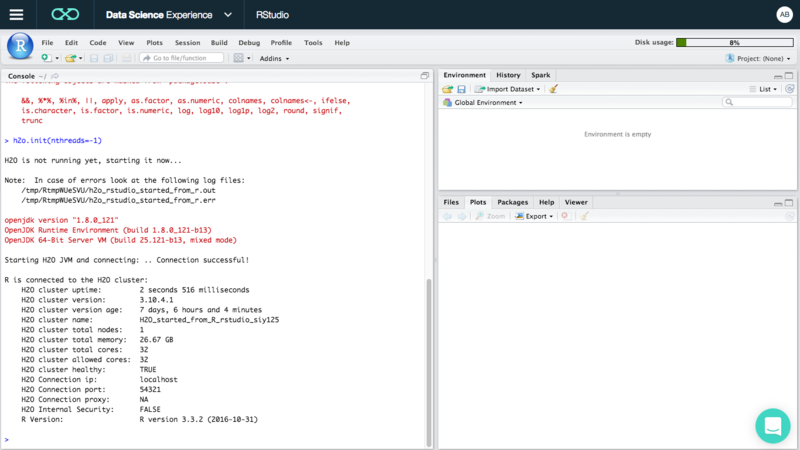 Click the dropdown in the upper-left corner, and select RStudio. Install and start H2O R using the instructions included on the H2O Download site. Note that this page opens by default to the Download and Run tab. Be sure to select the Install in R tab for R installation instructions. You can also view a quick start video of installing and starting H2O in R by clicking here.